Good news, fellow beauty chicks. The amazingness that is Lancome Oscillation is finally ready to hit counters for good. After a mad dash to buy it during the one day it was available this summer -- which, of course, this beauty chick took full advantage of! -- it's been waiting for just the right moment to come back full force. And on October 22, that moment will be here once and for all. To celebrate this very momentous occasion, I got the inside scoop from none other than the creator of Oscillation, Jean-Louis Gueret. Known as the Lancome Mascara Master, this man has created more than 400 mascaras throughout his career! "Most people assume Oscillation was inspired by the vibrating toothbrush or razor, but it wasn't," Gueret says. "Those products are meant to remove something ... Oscillation adds product. We couldn’t help but notice how many women and makeup artists make this back and forth motion with their mascara wands. We wondered if we could recreate that." I've been raving about this mascara for months. (To see what I think, click here.) It perfectly coats lashes, building just the right amount of product with an amazing 7000 oscillations per minute. But that's not the best part. Lancome has very generously agreed to reward one lucky beauty chick with her very own tube of Oscillation! All you have to do is enter your name and email in the box below, and check back on Wednesday, October 22 to see if you've won. It's that simple! This giveaway is open to US residents only. Giveaway runs until Tuesday, October 21 at 11:55pm EST. One entry per person, email address and IP address. Multiple entries will be disqualified. Most days I don't even wear mascara because it gives me such fits! My eyes water & itch, it flakes & gets in my eyes, it's a nightmare! I'd love to find one that works for me! I am always trying to find the best mascara. Lancome always has the best mascara. This is a great prize. I can wait to try it! Hope I win. A good mascara is hard to find. Even the most exclusive and expensive brands often disappoint! I am still in search of the perfect mascara. This would be fantastic, I'd love to win! I love to try new brands. Thank you! Thanks for the giveaway! Lancome makes the best mascara! Oh my, this is an amazing product. I really want to win it. I don't use a lot of makeup, but consider mascara a must. Thanks for the chance to win. Mascara and lipstick is a must so this would be a great win. Love to try it. I just saw this product on TV, I didn't expect that there would be any contests for one so soon! Wow, The Beauty of Life is always ahead of the curve! 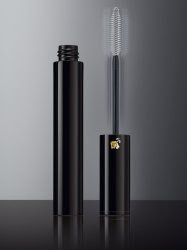 I'm a mascara fiend and go through them pretty quickly, this one is so unique I'd love a chance to check it out. I don't have to budget to buy the more expensive brands so it would be a fun treat. I have always wanted to try Lancome Mascara. Over the years I have heard how fantastic Lancome mascara is and I would love an opportunity to finally try some! I wear mascara everyday. I feel it makes the eyes "pop" and I love to add some definition to mine. Thank you for this great Lancome giveaway! I'm sure this Lancome mascara can work wonders for my stubby lashes! I would love to have this, thanks. I'd love to try this. I have a difficult time finding any mascara that works well for me. Great giveaway. It would be wonderful to have this. Please enter me. I would love to try this. Thanks! I would like to try this! I have short eyelashes! mascara is the one makeup I put on when i have 5 seconds to get ready! this could be great! I love getting new mascara. This sounds great. I need some good mascara there are so many different kinds I never know what to choose. Would love to try this.